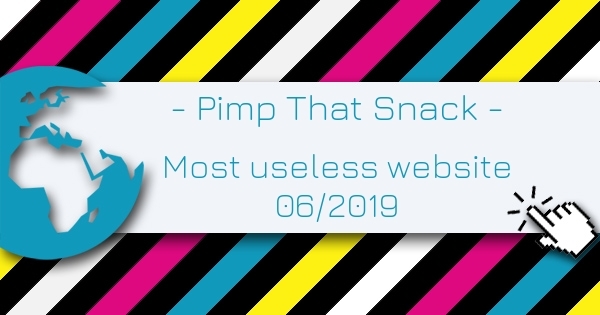 Pimp That Snack is the Most Useless Website of the week 06 in 2019. Initially known as 'Pimp My Snack', the site changed name during May 2006. See giant versions of regular snacks for your viewing pleasure! Oreo, KitKat or Kinder Egg are just a few examples. Bon appetite! Rated 4 out of 5 based on 5 user ratings.